I recently helped a mom of three organize a bedroom for two of her boys who had just moved in together to make room for their new baby brother to have his own nursery. Making a bedroom for one into a room for two can feel a little overwhelming – especially if you think the space is small to begin with. This room was plenty big enough for the furniture that the family already had – a twin bed, a convertible crib, a large dresser for the boys to share, and a small bookshelf. The furniture all fit inside the room perfectly – around the outer wall perimeters, but all of the nooks and crannies (drawers, shelves, and closet space) was either underutilized or overflowing. So we made a few adjustments by categorizing like items together, putting often accessed toys and games at floor level for little hands to reach, and we found a place for everything – with room to grow! 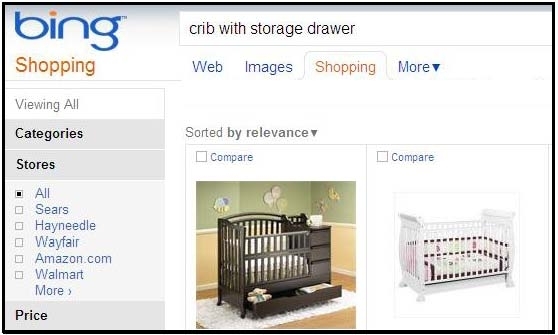 The convertible crib that the family already owned had built-in storage – an added bonus! Because the pull out storage drawer is not accessible when the crib side is lowered, we put extra blankets and linens into it – things that aren’t frequently used. A dual-purpose piece of furniture like this is a great thing to consider when outfitting a kid’s room. Search Results for "crib with storage drawer"
When we were cleaning out the closet, we found a collection of adorable small storage boxes that the family had received as a gift, tucked away in the back and forgotten about because no one felt sure about where or how to use them. 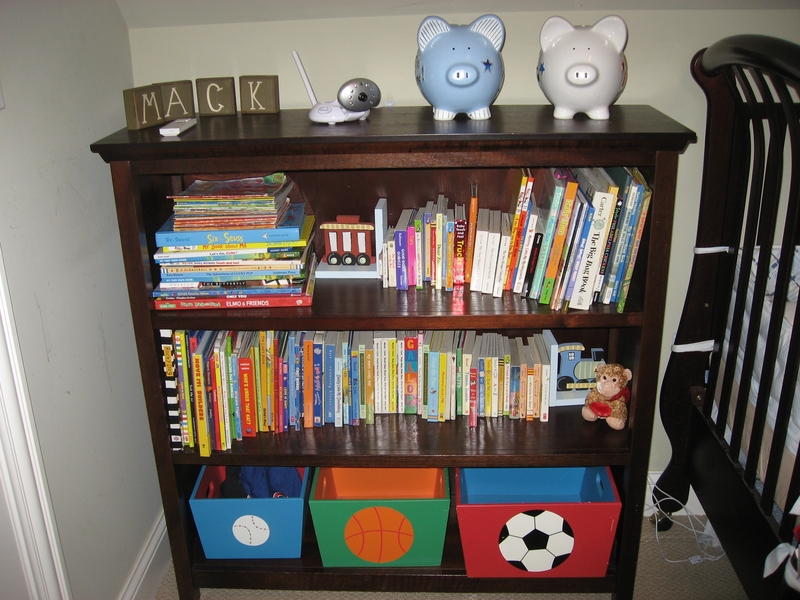 We creatively rearranged some books and displayed the storage boxes on the bottom of the book shelf so that the kids could use them to stash their favorite plush toys and knick knacks. The boys love being able to pick out bedtime story books on their own! This entry was posted on Friday, March 23rd, 2012 at 10:00 AM and is filed under Organization, Other Places. You can follow any responses to this entry through the RSS 2.0 feed. You can leave a response, or trackback from your own site.